As the Sunday Times said when it voted Sainte Foy the number one family ski resort in the world, "Size doesn't matter". Sainte Foy has everything you need in a resort and nothing you don't. Four chairlifts serve over 1,000 metres of vertical descent with 35kms of beautifully manicured pistes. There are no difficult drags, just great skiing and riding for all levels, starting with free to use nursery slopes that are right in the centre of the village, undulating blues through the trees for intermediates and challenging reds/blacks for the more confident. Extensive un-groomed areas are also there for the experts. There are several good restaurants in the resort and three on the mountain, four bars, two spas, two supermarkets and half a dozen ski hire shops renting up-to-the-minute equipment. View the resort map here. 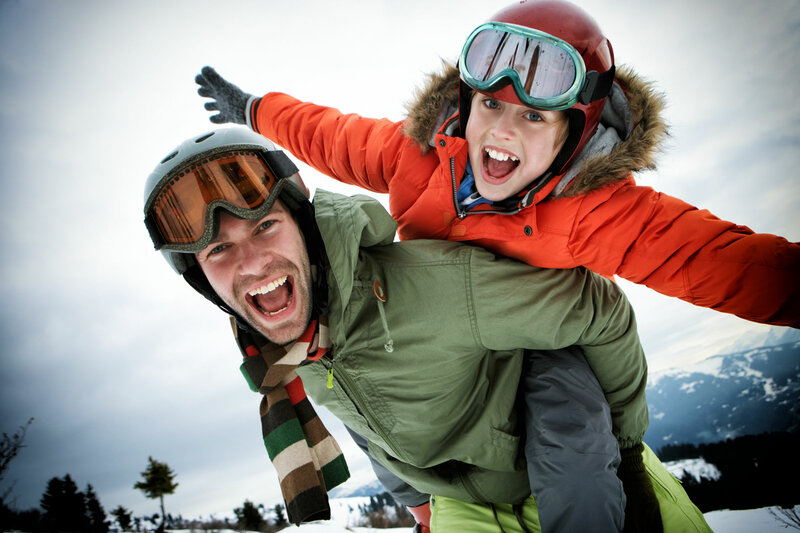 Sainte Foy has been designed around families with inter-connecting runs that cater for every level of ability and confidence. The nursery slopes are situated right in the village centre, right next to our chalets and apartments, and are served by two magic carpets (slow moving conveyor belts) rather than rope tows so it's easy for even the least confident youngster, and because Sainte Foy is quiet and relatively undiscovered, you won't have to have eyes in the back of your head looking after them on the slopes either. There are five great ski schools; www.esf-saintefoy.com, www.evolution2saintefoy.com, www.snocool.com, www.kspirit-ski.com and www.apexsnowsports.com, Sainte Foy's first British ski and snowboard school. Runs of varying difficulty are virtually side by side so you can split up and meet again further down the mountain without losing one another for the rest of the day. We are also blessed with accessible and easy to ski off-piste so getting in to the deep stuff is fun and simple. 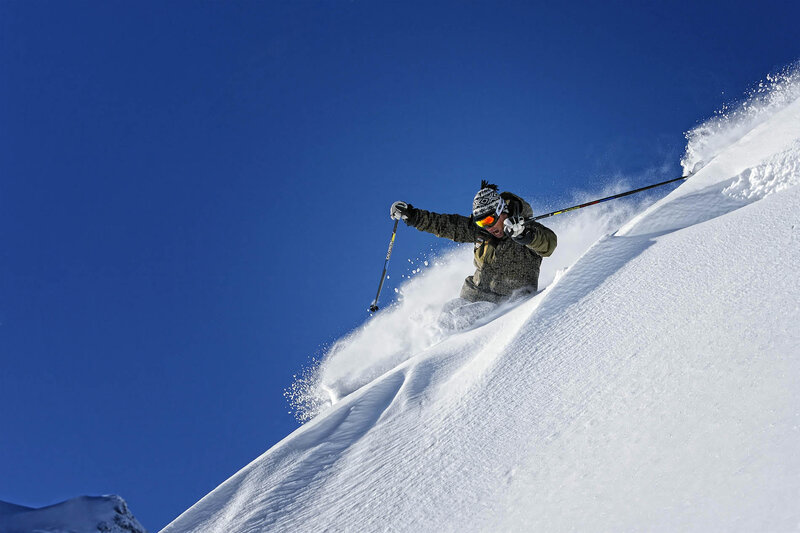 Instructors from the nearby mega resorts of Val d' Isere, Tignes, La Rosiere and Les Arcs come to Sainte Foy on their days off for some of the best off piste in Europe. The North West facing slopes ensure that powder stays great when in other resorts it would have been reduced to icy moguls. Inbounds there are dedicated off piste areas that are patrolled but never pisted. Beyond the lifts, there are various backcountry routes offering descents of varying levels. The north face of the Fogliettaz is the jewel in Sainte Foy's crown, a 45 minute hike from the top of the Aiguille chairlift to the peak of Fogliettaz, you will find a huge north west facing bowl offering 1500 metres plus of vertical. 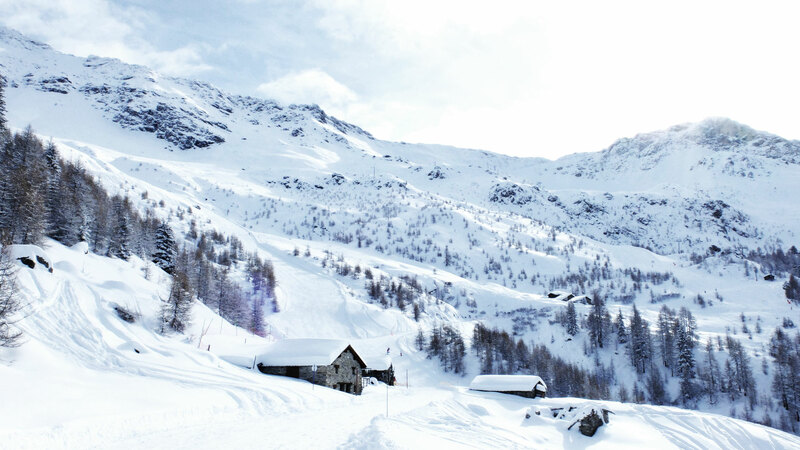 Sainte Foy is perfectly located to take advantage of the heli-skiing on offer just over the border in Italy. 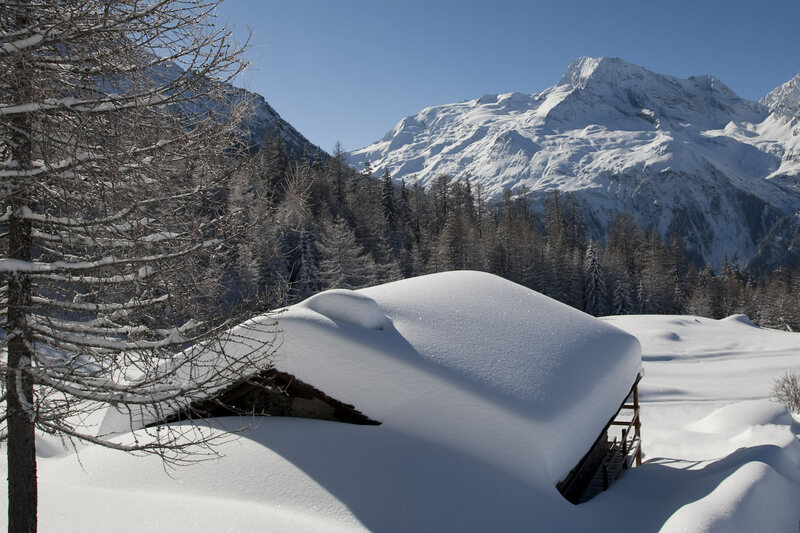 The Sainte Foy Chalet Company can recommend or book guides who will show you everything Sainte Foy has to offer. Tired of spending half your holiday queuing for lifts? Then Sainte Foy is for you. Even in peak weeks it will never take more than a few minutes to get on a lift, and once you are on the slopes, you've pretty much got them to yourselves. There are no tour operators in Sainte Foy. They and those not 'in the know', thunder past the turn off, en route to our better known sisters Val d'Isere and Tignes. They don't know that in Sainte Foy the lift passes are almost half the price they are elsewhere. They don't know about the beautifully groomed pistes. The epic powder. The peace and quiet. If you are a mileage skier, or nightclub junkie, then Sainte Foy probably won't be your glass of 'vin chaud'. 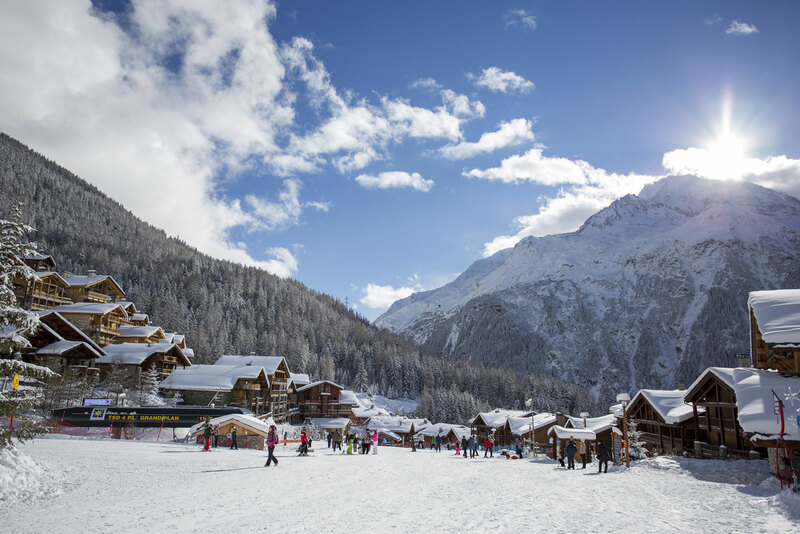 If on the other hand you appreciate uncrowded slopes, world class off piste, staggering beauty and quality chalets or apartments, we look forward to seeing you soon. 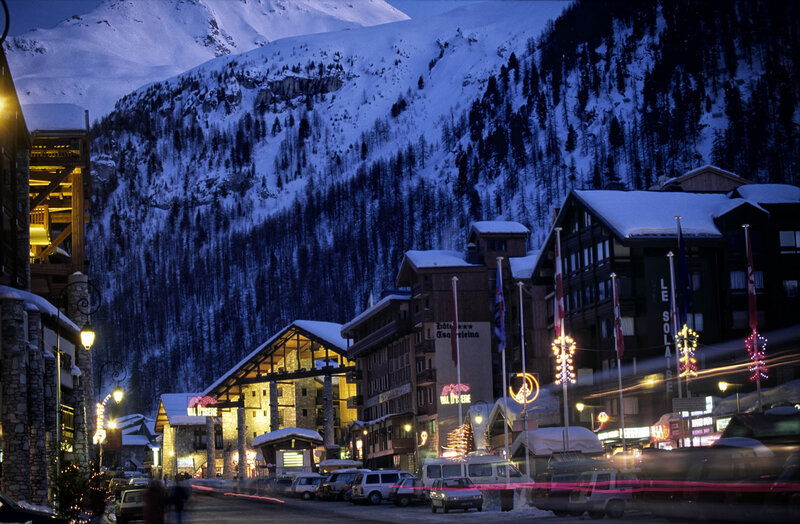 Sainte Foy and the surrounding area, has excellent facilities for non-skiers or those needing a little R&R. Apart from breathtaking views and the charm of traditional mountain villages we can arrange a wealth of other activities. There are a number of excellent spas in the resort offering pampering for both mind and body. Everything from Frangipan facials to deep muscle massage. There are helicopter rides which will give you a whole new perspective on the mountains. Snow shoeing, dogsledding, snowmobiling, ice driving, ski biking, parapenting or even scuba diving under the ice of an alpine lake. Or maybe you'd prefer to just chill out on the chalet balcony, It is supposed to be a holiday after all.